Continuing road work on I-74 in Moline may cause more problems for drivers this week. The Illinois Department of Transportation says starting today at 8:00 am, a crew closed one eastbound lane under the Avenue of the Cities bridge. The lane is set to reopen at 3:00 pm. And the 8-to-3 schedule will be repeated Wednesday through Friday. 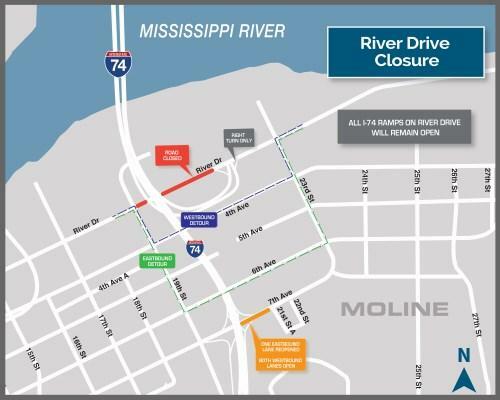 In addition, the Illinois DOT says eastbound I-74 at Avenue of the Cities will be completely closed Saturday at 7:00 pm through Sunday at 6:00 am. 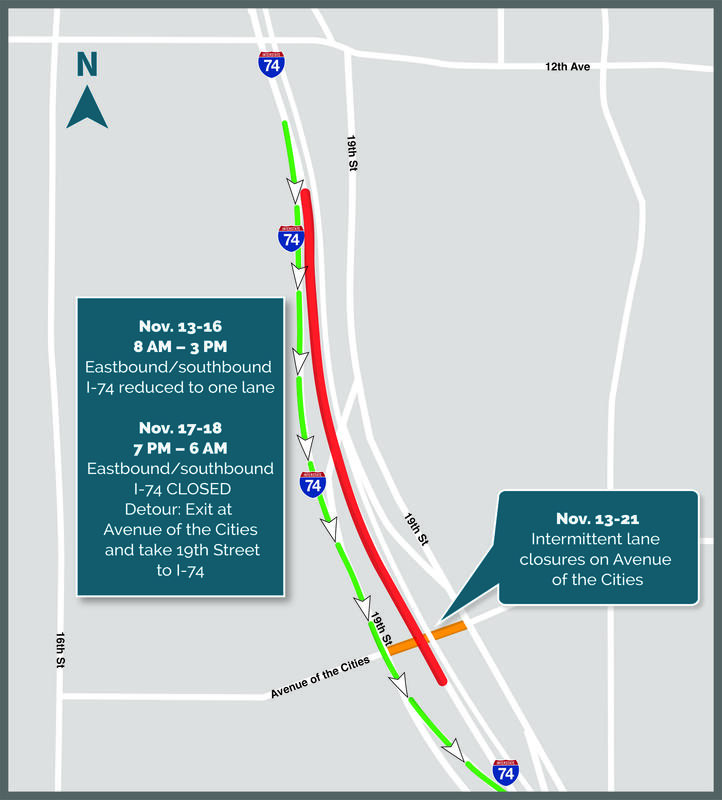 Traffic will be detoured to the on- and off-ramps at the interchange. The closures are necessary for workers to repair beams on the bridge that carries Avenue of the Cities over the highway. 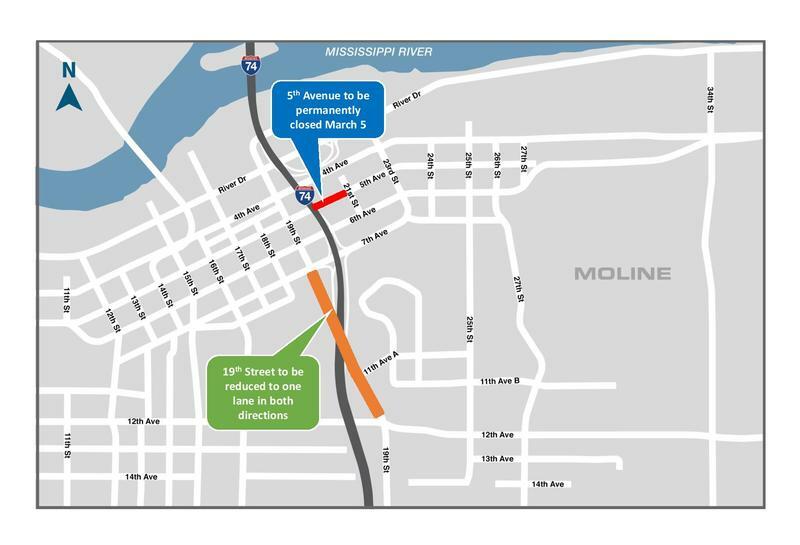 Driving through downtown Moline will be more difficult for the next few weeks. Beginning on Wednesday, River Drive will be closed in both directions between 23rd Street and 19th Street. Contractors will set girders over River Drive for the new I-74 bridge.